If you’re an incident commander, you probably have your own style, so to speak. Maybe it works for you. Maybe you need a little polishing. Running a scene well involves a million interactions and decisions. Question is, how much thought have you given them? Now might be a good time to think about that. Here this time to discuss what ICs should know is Jason Hoevelmann. He’s a deputy chief and fire marshal with the Sullivan Fire Protection District, a combination department, in Missouri. He’s also a career battalion chief and training officer with the Florissant Valley Fire Protection District in North St. Louis County. Jason has more than 20 years of firefighting experience. 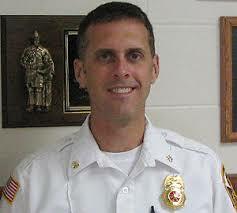 He’s an adjunct instructor for the St. Louis County Fire Academy and a State Certified Fire Officer II. When you’re using a ladder, how far away from overhead lines is a safe minimum? When you’re raising a ladder, stay at least ten feet away from power lines. More is better. And always look up first.